I'm tempted to say this starry newcomer is worth having for the gorgeously shimmering, translucent textures of 'Aquarium' alone (I don't think I've heard this evocation sound more sheerly magical than here). 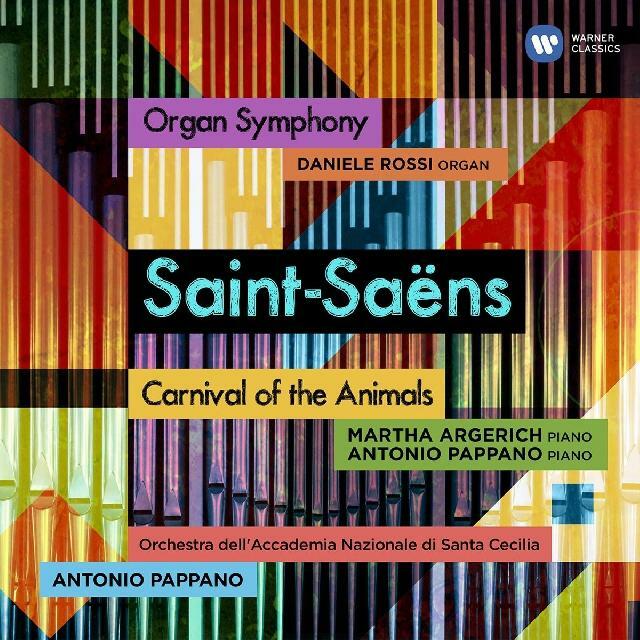 Here's an arrestingly characterised reading of Saint-Saëns's indestructible zoological entertainment, for which Antonio Pappano and instrumental principals from his Santa Cecilia band are joined by no less a luminary than Martha Argerich. A high old time is had by one and all, too, though sometimes the humour is laid on a bit too thickly for my own tastes – in some ways the Orchid Classics recording featuring Mei Yi Foo, Ashley Wass and members of the Britten Sinfonia (reviewed by yours truly on 28 March 2017) managed to raise more mirth with rather less effort. That said, I'm tempted to say this starry newcomer is worth having for the gorgeously shimmering, translucent textures of 'Aquarium' alone (I don't think I've heard this evocation sound more sheerly magical than here). As for the Organ Symphony, Pappano masterminds a performance of eager spirit and fresh-faced observation, with Daniele Rossi's tasteful organ contribution expertly integrated into the whole. Pappano's mastery of the long, singing line is especially evident in the slow movement, and his shrewd refusal to press ahead too recklessly in the early stages of the finale makes all the more giddily effective that thrilling burst of energy that accompanies the accelerando into the exuberant coda. Truthful concert-hall balance, with the justly enthusiastic applause retained. Admirers needn't hesitate.